Canadian Rockies vacations begin right here. Explore Banff National Park, Jasper National Park, in fact all of Canada's National Parks and the provincial parks of Alberta and British Columbia. We can help you to plan vacations, book lodging at luxury hotels, mountain resorts, wilderness cabins. We'll introduce you to guided tours, bus and rail tours, wilderness excursions and outdoor adventures. Plus, you can map driving routes, RV trips and find tourist information. For many travellers, the opportunity to "see the Rockies" is life long dream; to experience first-hand the stunning magnificence of towering mountain peaks of Banff, sprawling glaciers and cool green glacial rivers. These are truly unforgettable vacations! Go on an outdoor adventure - hiking, backpacking, climbing, mountain biking, whitewater river rafting, fly fishing or horseback riding. 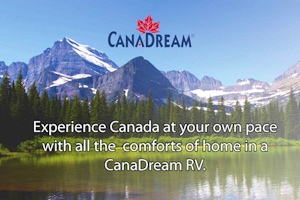 Or take a guided tour, sightseeing, wildlife viewing, exploring the Columbia Icefields and more. Or experience Canada's Rocky Mountains by coach or on one of the most scenic rail routes in the world. Whatever your wants, whatever your budget, Canadian Rockies vacations have something for everyone! Stay at Banff or Jasper, in some of the finest luxury hotels and resorts or at one of the many wilderness lodges scattered throughout the Rocky Mountains. Rent a log cabin in the forest or stay in a cozy urban motel. Enjoy first class amenities like golfing, skiing, health and fitness spas, fine dining and boutique shopping. Canada's Rocky Mountains run north to south from the Interior Plains of Alberta to the Rocky Mountain Trench in British Columbia, dividing the two provinces for much of their length. The Canadian Rockies stretch from the Liard River in northern BC all the way south to the borders of Idaho and Montana in the USA. In addition to numerous high peaks and mountain ranges, and hundreds of valleys, lakes, rivers and streams, this region also encompasses five of Canada's most beautiful National Parks, as well as three stunning British Columbia Provincial Parks. Much of the range is protected by these parks and are designated a UNESCO World Heritage Site and one of the largest protected areas in the world. Banff National Park, Jasper National Park, Kootenay National Park, Yoho National Park, Waterton Lakes National Park and the Columbia Icefields attract millions of visitors from all over the world every year. They come to enjoy the unsurpassed scenery of the Rocky Mountains and the outdoor recreational activities. Discover for yourself the natural beauty of Canada's Rocky Mountains. The three BC Provincial Parks that adjoin four of the national parks are Mount Robson, Hamber and Mount Assiniboine. Mount Robson, at 3,954 m (12,972 ft) is the highest peak in the Canadian Rockies. Mount Columbia at 3,747 m (12,293 ft) is the second-highest peak in the Canadian Rockies, and is the highest mountain in Alberta. Although truly stunning in their magnificence, the Canadian Rockies are not the highest mountain ranges in Canada. British Columbia's Saint Elias Mountains (highest point in Canada, Mount Logan, is 5959 metres) and the Coast Mountains (highest point is Mount Waddington at 4,016 metres) have even higher summits. So take some time to see all of Western Canada! To the east of the Rocky Mountains are the rolling Prairies and the Alberta Badlands, where dinosaurs roamed. Be sure to plan a side trip to the world famous Royal Tyrrel Museum at Drumheller. With 40 dinosaur skeletons with more than 110,000 fossil specimens at the museum, you can learn about these amazing creatures and actually walk among the the dinosaurs. Then visit Dinosaur Provincial Park, a UNESCO World Heritage Site located about two and a half hours drive southeast of Calgary, Alberta. Vacations and recreation opportunities abound throughout the region, making the Rocky Mountains one of the world's premier outdoor adventure destinations, offering lodging that ranges from luxury full service hotels and mountain resorts to backcountry lodges and wilderness cabins, plus every outdoor adventure imaginable. We think you will love it here. Start now, plan perfect vacations around the Canadian Rockies!